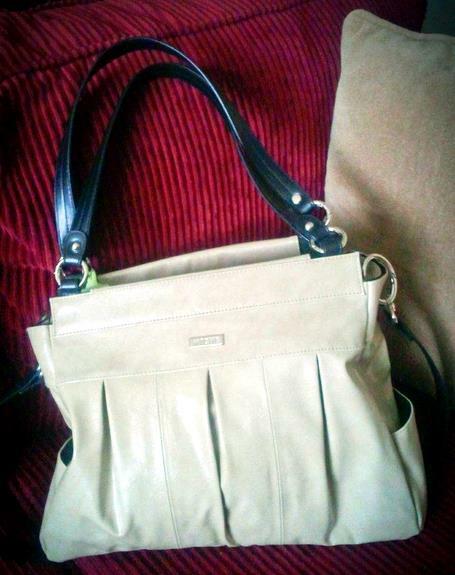 This week’s What’s in Your Purse Series purse is from Hilary Erickson. Thanks Hilary! 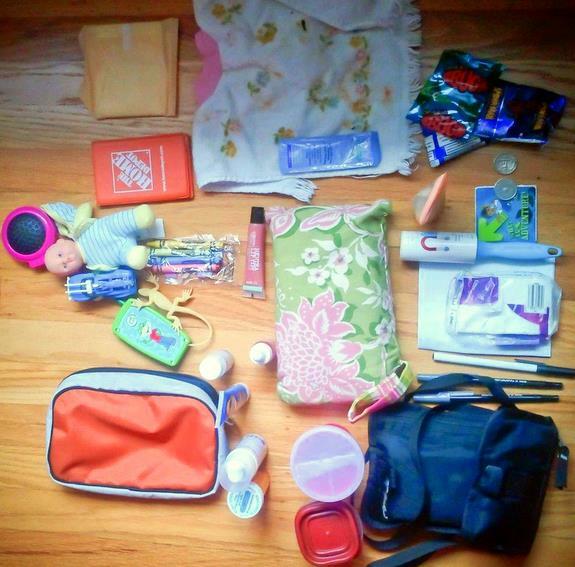 Orange baby is my baby’s “purse” — her “contents” are on the side. When she’s rifling through mine I give her hers. It holds a baby, car, crayons, cell phone calculator, folding brush. The green and pink thing is a diaper/wipes holder that i MADE.